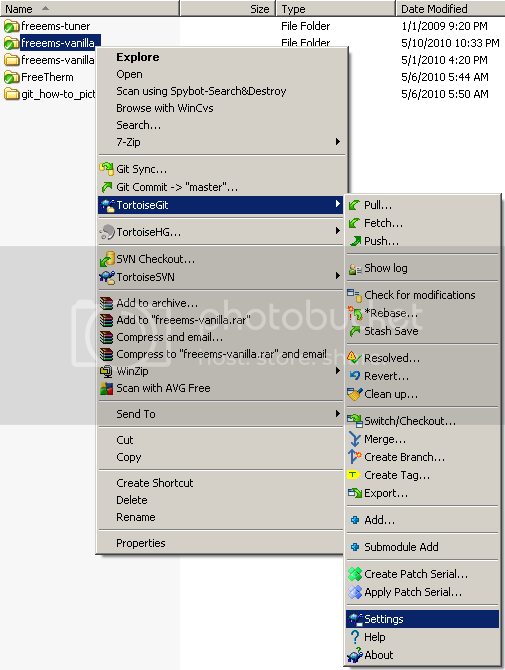 So here are some snap shots of TortiseGIT showing how to setup your authentication. Then choose remote settings. The default is origin, here's how mine looks. Also it's easy to "add new", but it's a bit harder to remove junk, so getting it right might be handy. Or modifying an existing one instead of created several might also be handy. Basically choose your names how you want them on the first try. Also go to the config area. Here's how mine looks. This is required to make you have your name when you check it in. 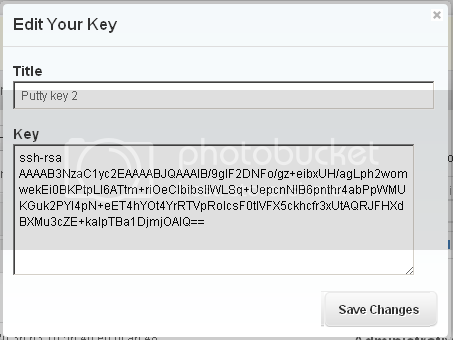 Here's the key generated by putty. Here's how it looks in github. Note I stripped a bunch of the file out, and I added the ssh-rsa thing with the space at the end of ssh-rsa. It needs to look this way when you open the key. After that, you should have read / write access to you account. Of course you'll have to change the jharvey stuff with your account, because you you'll only have read access to my account. I just added the picture of the config setting in the post above. If you're trying to contribute, this is a guide on how to be polite about it! If this image doesn't display here, PM me and I'll cache it. Doesn't an untracked file get added to the staging area? That is one possibility, yes. I think for the sake of clarity of ideas he has opted to display a different process. I like how clear it is. I didn't understand the 4 states for quite a long time, this would have helped. A variation on the diagram from the git book, which I don't agree with, and think is misleading and unclear. 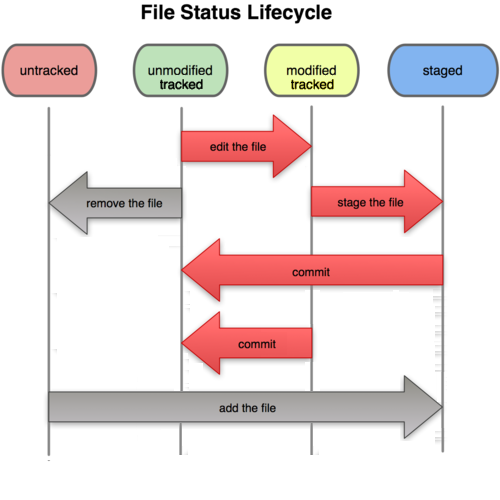 On the left are files that are not known to git. New files. Files that have not been committed in the past, or have since been removed. Next to that is the normal default state of a committed and tracked git file. To the right of that is the same file, modified, and showing a dirty status. Finally, on the right is a staging area, where you MUST add new files, and where you CAN add existing modified files. It shows adding a new file as making it tracked, when really, it's just staged, and not committed. Sure, git knows about it, but not in a permanent/semi-permanent way. It doesn't show adding a new file as being staged and ready to commit, implying that it's committed by adding it. It doesn't show that you can commit from the modified state without staging anything. Additionally, mine doesn't show that you can remove something from being staged instead of committing it. Insert a big grey line from right to left at the bottom in your mind. Here the commit from modified to unmodified is wrong too...? Sure, a commit -a can do it in one step, but that is still staging the files. Works just fine. But fails if README.md is brand new. Have to add first in this case.